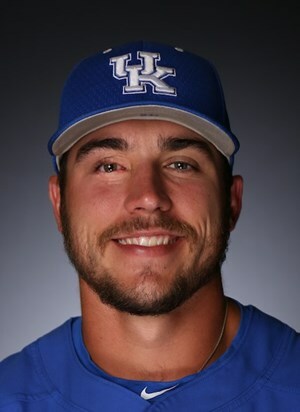 According to Baseball America "his bat has exceeded expectations, but his defense has regressed" after arriving in Lexington as a glove-first catcher. At six-foot-three, 225 pounds, Cottam is a physical specimen with a muscular build, with Perfect Game crediting him as "solid behind the plate," combining good agility for his size with decent receiving skills and an average arm. Cottam has also overcome severe health issues off the field. He has had 13 surgeries to remove a congenital melanocytic nevus near his right eye, the first coming when he was only three months old, with doctors fearing that he could lose the eye. In eighth grade, he had his lower eyelid removed, grafted, and sewn shut in order to heal. He has not had surgery since, and his vision has remained unaffected. He wore the number 13 with Kentucky as a reminder of those 13 surgeries. Photo Credit: Kole Cottam from UKAthletics.